Can you imagine a world without packaging? Water without bottles, chips without a bag, tomatoes without a can, meat without a tray, medicine without a blister… Can you imagine a product with no expiry date, or with no information about the ingredients or the producer? We are so attached to our shopping habits that we don’t even realize it. And yet packaging is both a protagonist and a mirror of our life choices and consumption habits, an irreplaceable tool for making the products we need to live comfortably from day to day available in space and time. «The packaging is, in a word, one of the constituent elements of post-industrial society’s folklore. From a technical product and specialized discipline for the few, it has become the medium of our relationship to goods, to consumption, to the world». So we wrote in 2002 in the first edition of Impackt, Contenitori e Contenuti. The result of a complex process involving many subjects, the intersection of disparate kinds of knowledge – from producers to users, from designers to marketers – the packaging industry nonetheless still seems to lack an identity of its own. And so, today, Impackt intends to give shape and visibility to a complex and diverse sector, whose shape and value are often hard to discern; to guide readers in the discovery of this vast world, whose 201 turnover in Italy alone amounted to 32,5 billion euro. With this objective, then, Impackt has accompanied its readers, online and on paper, on the road to IPACK-Mat from September 2017 up to May 2018, the new exhibition space of IPACK-IMA 2018 entirely dedicated to innovative solutions in raw materials, components and high value-added packaging. This is because one cannot give up on hope. Hope that packaging reflects a picture of ourselves that we can be proud of, enabling us as citizens to make conscientious choices as we buy and consume. 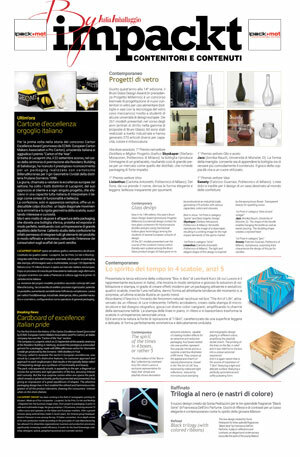 Impackt Containers and Contents was the first paperbased magazine to speak of packaging as a tool for understanding and explaining the contemporary world through theoretical and iconographic contributions by intellectuals, designers, artists, but also managers, entrepreneurs and manufacturers. Founded in 2002 thanks to the passion of Stefano Lavorini and Luciana Guidotti (Edizioni Dativo Srl) who believed in the visionary proposal of Sonia Pedrazzini and Marco Senaldi, Impackt was published in twice yearly issues in Italian and English up to 2009 when, due to the economic crisis, publication had to be interrupted. In 2013, to continue to reinstate the value of the effort made, to be up with the times and to infuse further energy to ideas, without ceasing to offer an alternative view onto the fascinating and contradictory world of packaging, Impackt returned in the electronic version. For those who wish to read or find all the articles of the paperbased version, go to the digital archive …..
By now packaging is fully part of our cultural surrounds, invading and characterising many aspects of our daily existence and taking on new meanings. That is to say packaging is one of the elements that mark the “folklore” of postindustrial mankind, having gone from a technical product and specialist discipline for a select few, to becoming our way of relating to products, to consumption, to the world at large. Impackt Containers and Contents is a “tourist guide” to the real and mental landscapes of packaging. Sonia Pedrazzini is a designer with a Mediterranean DNA. She grew up in Capri – the ancient “Island of the Sirens” – and after attending the classic lyceum graduated in Industrial Design at the ISIA, Rome. She has been consultant with the agency Dieter Bakic Design, Munich, where she specialised in packaging for the cosmetics sector, and in 1996, on returning to Italy, she opened a studio at Piacenza. As well as creating products for the market, she develops more experimental projects, in the border area between art, design and communication. She has published articles in magazines such as Artribune, Ottagono, Interni, Case da Abitare and has held lectures and workshops at various academies and universities, coordinating the first Packaging Master for the IED (Istituto Europea di Design), Milan. On a theoretical and applicative level she deals with the cultural and pop aspects of contemporary society. Among her creations she has produced Le Morandine, a series of candles inspired by the still lifes of Giorgio Morandi, a project in which design, art and packaging all happily meet. 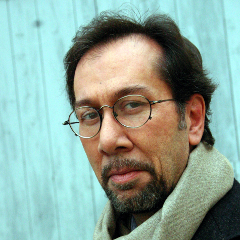 Marco Senaldi, contemporary art critic and theorist, has taught at the Accademia di Belle Arti Carrara, Bergamo, at the IULM, the IED, the Domus Academy, and currently holds the chair of Contemporary Art and Media at the IULM University, Milan. With S. Pedrazzini he curated the exhibition Permesso di soggiorno: Il design senza fissa dimora, Galleria Delle Piane, 2002; he also curated Cover Theory – L’arte contemporanea come reinterpretazione, Officina della Luce, Piacenza (Scheiwiller catalogue, 2003); Suburbia – Periferie nel territorio nella mente nella comunicazione (with M. Paderni), Reggio Emilia Civic Museum (2004); Interessi Zero (con P.L. Sacco), Civic Gallery of Trento (2005); Il marmo e la Celluloide – Arte contemporanea e visioni cinematografiche, Villa La Versiliana, Pietrasanta (catalogue Silvana editorial, 2006). Among other things he published Enjoy! Il godimento estetico, Meltemi, 2003 (2° ed. 2006); Doppio sguardo. Cinema e arte contemporanea, Bompiani, 2008; Arte e Televisione. Da Andy Warhol a Grande Fratello, Postmediabooks, 2009; Definitively Unfinished. 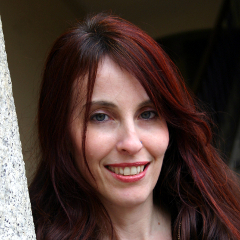 Filosofia dell’arte contemporanea, Guerini, 2012. From 1994 to 2000 he worked as TV author on the cultural programs of Canale 5 and RAI TRE. His essays and articles have appeared in Flash Art, il manifesto, Corriere della Sera, D-donna – la Repubblica, Interni; he has a regular column in the monthly Arttribune. Edizioni Dativo Srl (Milan) is an independent publishing house. Created by journalist Stefano Lavorini who – with his knowledge on the industrial and productive aspects of the packaging sector, its leading lights and its dynamics – turned to publishing in order to launch a precise communications project. 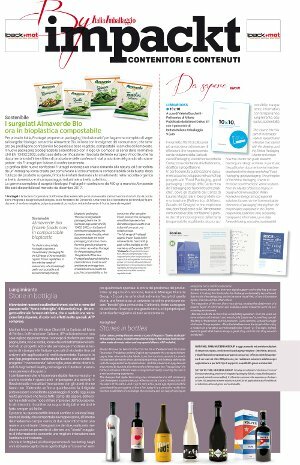 Through the publication of ItaliaImballaggio, Impackt, as well as PackBook and Packmedia webmagazine, Edizioni Dativo’s aim is to give voice to the Italian packaging & wrapping industry in a competent and professional manner, steering clear of more conformist approaches which, all too often, confuse information with advertising. This publishing project has been appreciated by readers and the marketplace for, among other things, its comprehensive, accurate and thorough content – which first and foremost entails consideration of the meaning that lies behind the surface.